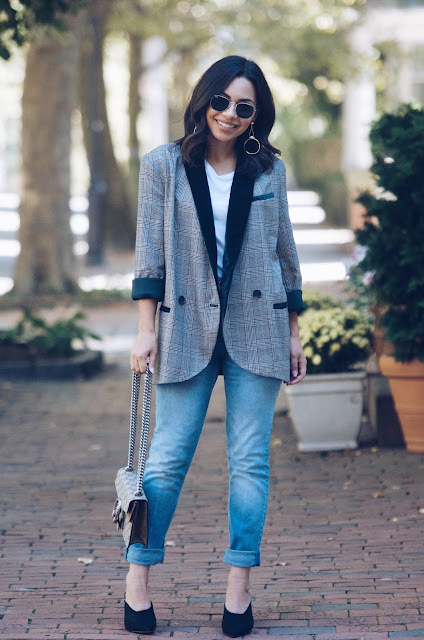 The blazer is the best investment piece in your closet for fall. 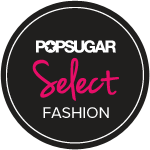 This year look out for bold patterns such as plaid and checkered print patterns or boxy shoulders. 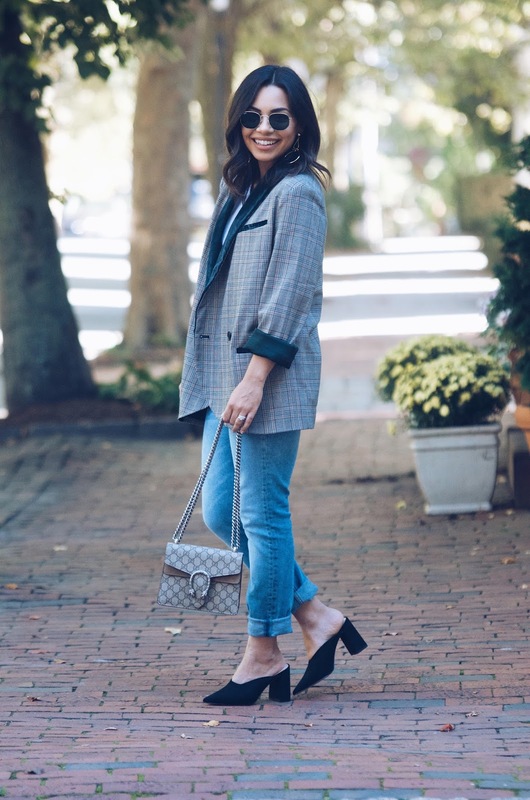 The Anine Bing blazer has been seen all over our favorite bloggers thus far however it is sold out everywhere and if you find it is $349. I was searching the internet for a more affordable version and I found this Free People plaid blazer with velvet details at Macys for $168. I was able to use a Macys coupon and I scored it for $108. A great transition piece that can be dressed up with trousers or casually worn with shorts or jeans. I wanted to keep the look simple for you guys and I love wearing basic t-shirts under a dressed up blazer. I dressed up my casual look with some statement earrings and my gucci bag. I have to make a funny and laugh at my ankles! I really didn't get any color this summer on my legs. LOL! I found some great blazers below for you to check out!